It’s not only in the Middle East that the advance of Islamist jihadists is exercising the international community. While attention has been focused on northern Iraq and Syria, the French government has been bombing Islamist militant positions in Africa to stop the emergence of jihadists in the Sahel. Now on 1st Sep, peace talks about the future of northern Mali start again between the government and mainly Tuareg armed groups. For nearly a year in 2012 armed Islamist groups had ruled the region, banning the practice of other religions and desecrating and looting churches and other places of worship. Thousands, including many Christians, fled the occupation and found refuge in the south of the country or in neighbouring countries such as Niger and Burkina Faso. On January 11 2013, French troops moved to regain control of the region after militants had attempted to progress further south, but the re-establishment of security took time and necessitated mass reconstruction, as many displaced people returned home. As government and international organisations – including UNESCO – have undertaken to rebuild destroyed infrastructure, and notably the mausoleums and ancient monuments, Christians in Mali say that their loss is not being taken into account. Dr Mohamed Ibrahim Yattara is the President of the Baptist Church, mainly present in northern Mali. He expressed his feelings to World Watch Monitor. 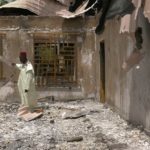 WWM: What’s your reaction to the reconstruction efforts undertaken in northern Mali, when, as you tell us, it doesn’t include the damage sustained by Churches during the jihadists’ occupation? MIY: We are outraged by this policy of double standards. We do not understand why a UN Agency can rebuild mausoleums, which are still used as mosques, where people go to pray, while when it comes to churches, nothing is done – despite all our efforts to sensitise the government and international organisations. WWM: So do you feel that you have been overlooked? MIY: The facts speak for themselves. So far nothing has been done. All indications are that the cake has already been shared. Unfortunately, we do not have our share. WWM: Does this mean that in the end, you will have to rely on your own means? In fact this is what we have always done. Historically, churches were built by nationals. But we had hoped that, because of the particular circumstances of a post-conflict situation, our government and international community could help us in the reconstruction effort. But if that support does not come from outside, we will continue to do what we did in the past: to rely on our own resources. WWM: Do you really have this capacity? MIY: Actually, with regard to the current post-conflict situation, we have no means to undertake reconstruction projects. We can only rely on the generosity of people of good will to walk with us in these efforts of reconstruction. WWM: What is the real extent of the damage sustained by churches? MIY: We have engaged the evaluation process aimed at assessing the scale of the damage. But we already knew that the loss sustained by Christians in the north amounted to hundreds of millions. We have lost most of our buildings but also vehicles and other objects of inestimable value. 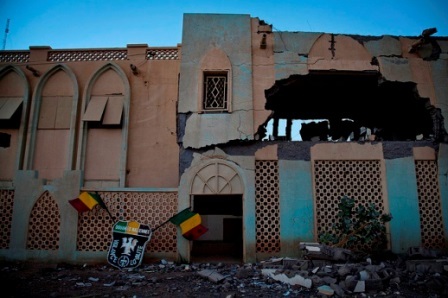 The churches are in ruins: in Gao, in Niafounké, in Hombori and other towns occupied by jihadists. In Timbuktu, for example, in addition to buildings, our ‘Water Project’ set up over a period of 20 years, and which has cost billions, is no longer operational, because all the materials were stolen. This constitutes a heavy blow to the population, the main beneficiaries of this project. 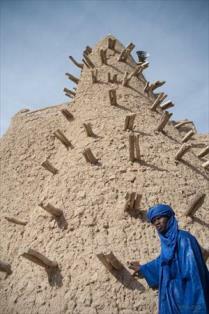 WWM: Is it an exaggeration to say that Islamists attempted to erase the presence of Christianity in northern Mali? MIY: No, we had this feeling that jihadists wanted to wipe out any trace of Christianity in the north of Mali. But God in his goodness has not allowed such an eventuality. 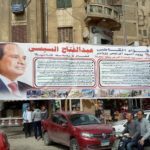 The church is still there and most of the believers have returned, albeit in very difficult conditions, without external assistance or the financial resources needed in such circumstances. And despite such adversity we are determined to resume our ministries because after all, this northern Mali is ours. We have the right to freely exercise our faith and we are firmly committed to make this happen. In March 2014, the UNHCR said that, due to the number of other crises, Malian refugees were likely to be forgotten.